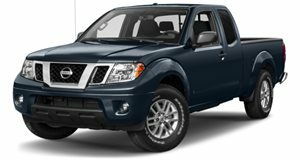 The Nissan Frontier is not only the oldest mid-size pickup truck on sale in the US, but it’s also one of the oldest vehicles in general on the market. The current Frontier received its last complete redesign way back in 2004. Although it’s received a number of updates over its decade and a half lifetime, the Frontier’s bones are old. Its 2.5-liter four-cylinder and optional 4.0-liter V6 remain relatively unchanged and it still has a five-speed automatic transmission, whereas the 2019 Ford Ranger has a 10-speed unit. Automotive News is now reporting that the redesigned Frontier, which a Nissan executive previously confirmed, could debut as soon as September 2020 as a 2021 model. That’s still 18 months away, but sources who have been briefed on Nissan’s plans are claiming this timeline is correct. A lot can happen between now and then and delays are certainly possible, but given the resurgence of mid-size trucks in the US, chances are Nissan will be determined to get the new Frontier launched on schedule. Time is money. But here’s the ironic part: despite its age, the Frontier remains a hot-seller. Last year, it was Nissan’s third-best performing light truck, just behind the Rogue and Murano crossovers. The Frontier also trounced over the larger and much newer Titan pickup. A total of 79,646 Frontiers were sold in 2018, compared to 50,459 Titans. "There's a lot of heritage in the Frontier,” Hayes said. "It has almost a cult-like following,” said Billy Hayes, Nissan North America division vice president of regional operations. Those who know their Nissan truck history will recall the days when the Japanese automaker was called Datsun, which sold what became an immensely popular small pickup in America. In fact, it was the first vehicle the automaker built in the US, beginning back in 1983. The Frontier, unlike most other pickups today, is also affordable. According to J.D. Power, the Frontier is the only pickup that sells for, on average, less than $30,000. The average price tag for a new mid-size truck last year was $32,800. But with new (and more expensive) competition like the Ranger and Jeep Gladiator, Nissan has to do something with the Frontier. Question is, will the redesigned mode continue to be affordable like today’s truck? Time will tell.